1. I am less afraid. I used to think that divorce was one of the worst things that could happen to me. Well it happened to me, and I’m still alive and kicking. Better yet, it may actually be a bad thing that became a good thing. The scary and the unknown might not be the end of the world after all. 2. I am more self-confident. I was tossed out like a piece of trash by my ex-spouse, but I came back fighting. Did I deserve what happened to me? A resounding “no!” But I had to believe in my own self-worth again, first, in order to gain self-confidence. I may dislike confrontation, but I will stand up for my rights from now on. I’m no longer anyone’s doormat! 3. 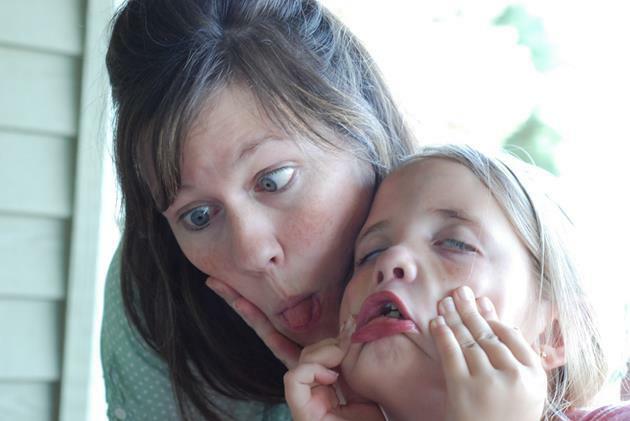 I believe more in the infallibility of my motherhood. I never intended to be a part-time mother, but I have had to let go of my children when they are in their father’s care. I have had to face my worst fear of the other woman becoming a significant part of my children’s lives. And yet, I can never be replaced. I am their mother 100% of the time even though they no longer live with me 100% of the time. The love that my kids have shown me over and over has demonstrated that fact well enough. 4. I have more faith. I believe that God has a plan for my life, but I have had to trust in what I cannot see for the moment in order to get through the worst of this process. Harder still, I have learned to be thankful for this immense challenge, because God works in mysterious ways. 5. I have more patience. Legal negotiations that have proceeded at a snail’s pace have made me bite my tongue more than once. I have learned that I cannot go crazy waiting for paperwork or the next step in this long process – it will happen when it happens. 6. I have more friends. I have been blessed with new and deepened friendships as a result of my divorce. I have been lucky not to lose any old friends, either. Most surprising is the determination of new friends, or those I was not even close to before my separation, who have committed themselves to helping me see this through. 7. I understand my own body better. Divorce brought home the realization that you cannot depend on a life partner to make you happy. Just as I don’t need a man to fulfill my life, I also don’t need a man to fulfill my physical needs. Enough said. 8. I know more about DIY. Pulling disgusting black crud and hair out of my bathroom drain, learning how to recover dining room chairs, and even catching a lizard that was hiding out in my bedroom have all become part of my new repertoire of skills, at times to my own horror. 9. I am more humble. When I was married, I had my own hidden prejudices about divorced people. Somehow I thought I was better than they were, and that I’d never be one of “them.” I think some part of me felt that divorced people hadn’t tried enough to work on their relationship, or that they had weaker moral values. But who was I to judge? 10. I have learned to let go of the illusion of control. Obviously, divorce was not part of my life plan. I wasn’t able to keep control over my marriage, but I am learning now that there are good reasons why I could not. Similarly, when missed job opportunities or other disappointments come along now, I am starting to see these events as happening for a reason. I don’t have control over much in my life, but accepting this fact may allow me to enjoy the ride and embrace the unexpected benefits.